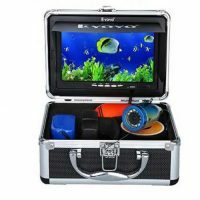 Home » Fishing Tackle » What will You Buy for the Fisherman in Your Life these Holidays? Do you know that fishing needs a kind of special apparel? Well, not really! But it’s true that comfortable, light clothes and accessories like sunhats do help anglers to protect from the harsh sun and hot air. Here are some cool gift ideas for fishermen! Fishermen need to wear light cotton t-shirts especially on hot summer days which can keep them cool and offer freedom of movements. Plus, if it has some quirky fishing design on it, your angler recipient will love it. 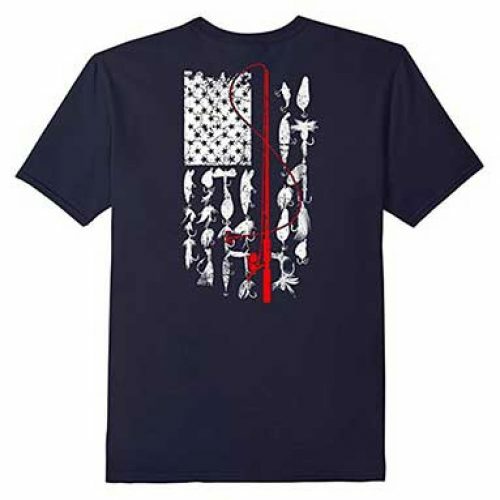 The t-shirt given below is by homerungifts.com has an American flag, but with slight changes – stripes made of fishing lures and the red strip representing a fishing rod and reel! This is an ideal gift for Father’s Day or Christmas or birthday or any other occasion and your recipient will be delighted. Anglers essentially need hats or caps to protect their head and eyes from the sun. 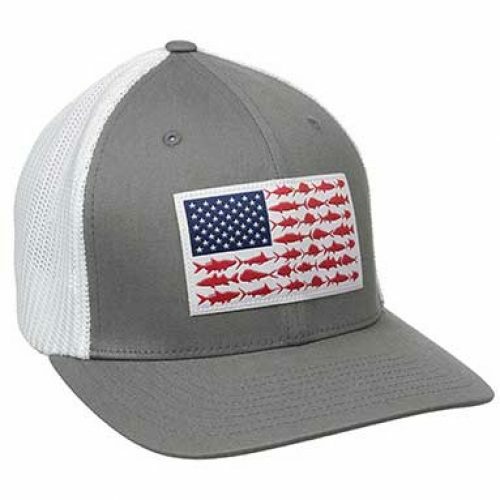 Give a cool hat to your angler friend or family member with a design of fish, fishing lures or any other fishing gear to make your recipient appreciate your creativity. Just as they need cool clothes in summer, anglers need layers during winters too. 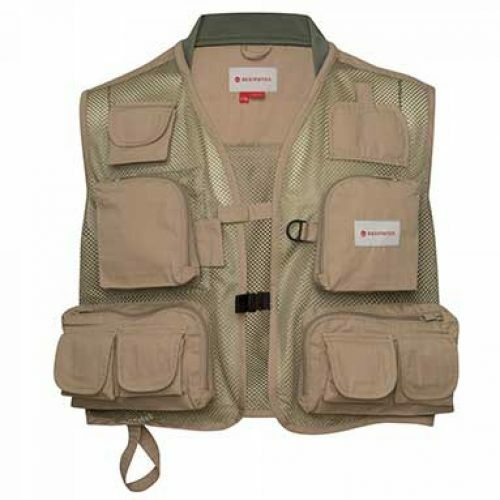 Give your angler recipient a vest with a lot of pockets to place their fishing tackle and accessories. The ability of such a vest to keep your angler organized will please him. Your anglers will also be pleased if you gift them furniture pieces that will be helpful in their fishing ventures. Here are some ideas. Why should your fisherman stand all the time or sit ashore a water body in an awkward position? 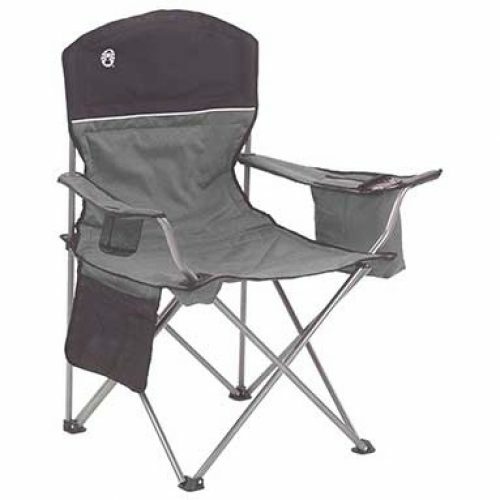 Gift him a comfy chair with arm rests and a side cooler that can hold drinks for him. The chair should be easily foldable so that your recipient can carry it conveniently anywhere. If your angler friend goes to a fishing destination where he is allowed to cook and eat the fish, cleaning fish can be a big mess for him. In that case, if you gift him a table on which he can clean and wash the fish conveniently, he will praise you. 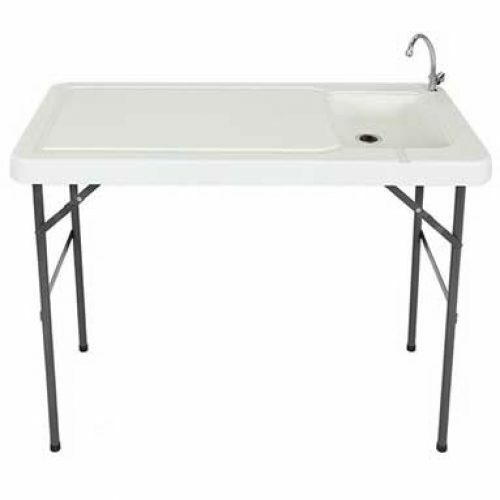 The following table has a sink faucet which can be connected to a garden hose for easy water access. These days technology has entered in angling too. There are a lot of hi-tech tools that can help in fishing. If you have a real near-and-dear one who is an angling enthusiast and to whom you want to gift something special, you will love these cool gift ideas! You can gift an amazing live feed waterproof camera with which your angler friend can see what is exactly under their fishing spot. The following particular camera has a 15-foot cable and LED lights for low light conditions. 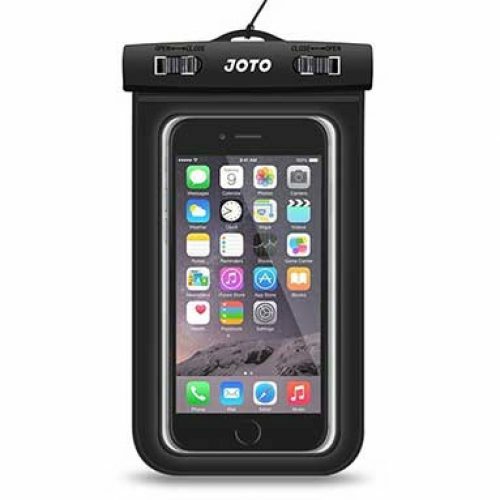 Waterproof phone cases are fantastic gifts for anglers because when they go for fishing, they don’t have to worry about their precious device to get damaged due to water if it rains or the phone drops in the water. The case also floats and you can perform all the functions while the phone is inside the case. Find a range of such cool gifts at homerungifts.com that are perfect for any occasion. All the pictures above are their courtesy and you’ll find many more on their site. Choose from these gifts and see your recipient’s eyes shining with happiness!